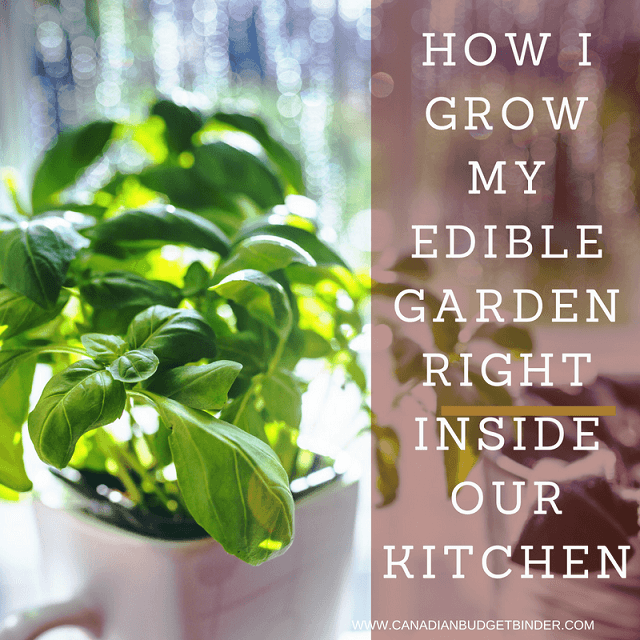 Why buy when you can plant an edible garden right inside your kitchen? Why toss your vegetable scraps into the trash bin when you can regrow them instead? This post is not about starting your own garden per se, but more about how to recycle and regrow your vegetable from discards. 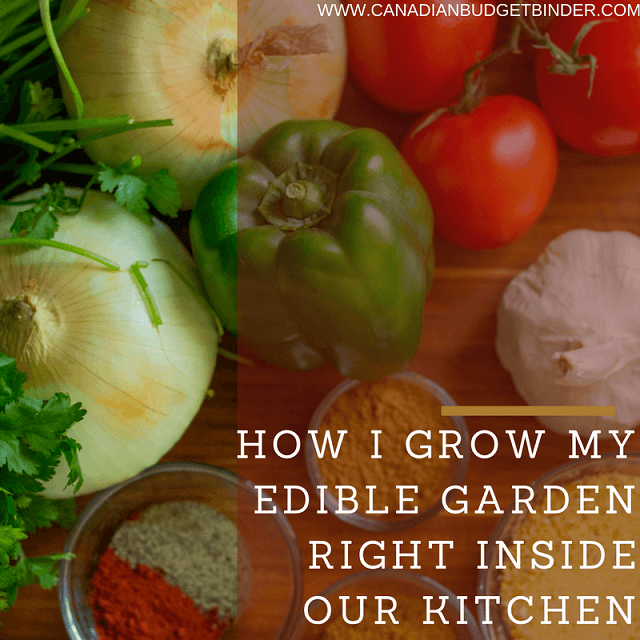 Before we started our edible garden, my family of four usually spent around $600-700 a month on groceries. 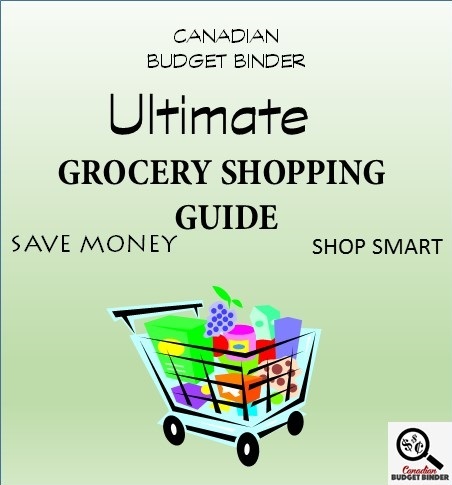 Fruits, veggies (including those that are canned and frozen), rice and other perishable goods rarely come cheap so we usually spend around $70-90 for these items per every grocery trip. Now as our edible garden grows, we are saving around $20 per week on veggies based on their costs off the shelf. It might not be much now but having an accessible food supply 24/7 is so much worth it! Aside from saving a lot of money because I could dramatically reduce my trip to the veggie aisle, this practice is also something that had improved my family’s health. Growing veggies in the kitchen (and later transferring them to pots outdoors) has been a fun family project. My kids are just fascinated with our plant’s daily growth, likewise, they are also curious on how they taste! Now before I start, let me tell you that all veggies I used are either given by my amateur gardener friends, bought at the local weekend farmer’s market or at the nearest’ supermarket organic counter. I would rather not cook and consume plants and meat that are grown at the big farms. Conventionally grown greens off the shelf are chock-full of fertilizers, irradiated to the core and bathed continuously with pesticides. You’ll be surprised that the people who handled your greens are dressed like there is an epidemic outbreak, just to handle these pesky chemicals. That is notwithstanding your probability to pick a Frankenstein GMO fruit or veggie off the shelf, which is also likely since they look fresh for longer amounts of time. These are the fruits and veggies that I would rather handle with a ten-foot pole. I cannot stress this enough, just imagine all that chemicals and GMO in your mouth and gut. No good but just yuck! So the best thing to do for your health and budget is to plant a garden! All it takes to regrow these crunchy greens is to cut its thick base and then to soak them in a glass or jar of water. Replace the water daily and put the plant in a window with ample sunlight. In a week or two, new leaves and stalks will slowly emerge. Transfer them to a pot when they are at least five inches tall. When fully grown, just cut out some leaves and stalks for your salad and it will regrow again. This technique might not work on winter’s freezing temperature and less sunlight. You can still experiment at all seasons but as per my experience, their scraps can grow easier during summer and spring, and in some cases in autumn too. These common root crops are the most likely to accumulate a large amount of pesticide. After hearing this fact, I decided to grow them on my own. When left at room temperature (do not refrigerate these roots) they tend to form some shoots or sprouts called “eyes”. Just cut the potato in third or half, with each sprout equally distributed on each cut. They will later form the plant’s stem and leaves. Plant each of these cut potato in a pot rich with compost. You can also do the same with your ginger and turmeric. When I buy them organic, they usually have some of their root intact. As long as there are at least two inches of that thick fleshy base, you can regrow them easily. Soak in a glass of water the thick base and root. Replace this water every day. In a few days, you will see additional roots and greenish stem. When this happens, you can now transfer this to a pot and place it in a well-lit window. Once these plants form their flower and later some seeds, you can use them to replant and expand your edible garden. These two are always in my recipes and they didn’t come cheap. These bulbs are also loaded with harmful chemicals to make them last long at the store. Those are the reasons why planting them is a wise decision. To start, separate from the bulb each clove and immerse in a glass of water. Observe daily. In just a few days, you will see some shoots forming. When this happens, it’s about time to transfer it to a pot of soil. They can survive even with less water so just spray some sparingly. Once they start to form shoots, you can cut some of this green stem to top your stews and salads. This fragrant herb is the easiest to grow indoors. All it takes is to put the stem with leaves intact in a glass of water. The water line must reach just half of the stem, do not soak the leaves. Put them in a well-lit area at the window. Just replace the water daily and watch the roots grow. Once there are at least three inches of roots that have formed, you may now transfer them to some small pots or at a hanging vegetable bag. It is also possible to grow your head of pineapple just by being selective in terms of cutting. Just leave out the thick core and crown and let it immerse in water. Even avocado can be grown by soaking half level of its seed into a bowl of water. As for tomatoes, instead of throwing the seeds to the trash, dry them instead. Plant the dried seeds on a fertile soil. Under the right conditions and some tender loving care, they will grow. Herbs that you can grow even without soil, just water! You can always buy a bottle of dried herbs, although they rarely come cheap; yet nothing beats the taste of fresh herbs off your plate. Now, this experiment of mine has already been going for a few months now. After learning from my apartment-dweller friend how he managed to grow some herbs even without soil, also tried it out. I called it my edible vase garden. It’s just as simple as soaking some them in a jar of water. *Take note not to soak the leaves. As usual, just replace the water regularly and let them capture some sunshine. The ones that had grown thick roots and had survived for months now on simply water are basil, oregano, spearmint, sage and lemon balm. I have yet to try out some tarragon, thyme and peppermint stem; yet based on these plants composition, the all-water habitat might also work for them. There are lots of perks with having friends who also grow their own food. If your friends, family, and neighbors are not yet into edible gardening, encourage them to try it for themselves. Giving out and exchanging our excess fresh harvest is one of the best ways to help our communities be sustainable. Pruning, weeding, dividing and composting for your plants takes time; yet this is the best way to expand your vegetable garden faster. If you have limited land space to plant, you can also try to make a vertical garden. Possibilities abound! All it takes is for you to research, replant and ask around. So excuse me for now, as I’ve got to water my edible garden. Thank you and hope I was able to help. What indoor edible garden vegetables, fruits or herbs have you grown? Post Contribution : Sarah Morgan. A sister, a daughter, a wife, but most especially a mother. Being a mother makes me realize that life is a great adventure. No day is always the same, which makes every day so much more exciting. Congratulations goes to our October GGC Winner Ballot #17 Dee!! We’re off to a kickin-start for the month of November because of Costco but we needed to stock up on some cheese and salami and you can’t beat their prices for it. I’m hoping for a peanut butter sale so I can buy a couple since our son seems to love it so much. The wife is using more cream cheese and mozzarella these days over the cheddar so we’re sticking to that plan for now. I’m thinking about placing an order for her online to get some gluten-free almond flour and carb-quick. We still need to look at all the products to find out everything they have in stock. Prices seem to be reasonable too so that helps. Images courtesy of Pexel Free Images. Yeah. Two weeks under with the lowered budget, it rocks. I still have food in the fridge I can eat and cook with next week, awesome. This week I relocated my surplus to cleaning supplies. Can’t have cash lying around with no purpose. I love to have money left from grocery shopping. It’s really motivating. Hi, I have dried chickpeas at home but sometimes I want to forego the thinking ahead stage and have the canned ones for that purpose, although I admit that they don’t taste as good. I like to use beans as a protein source in soups , sometimes I blend them in and sometimes I use them instead of croutons. I roast the chickpeas in the oven with spices until crispy and throw them in the soup just before serving. They also make a delicious snack. I grow basil, celery, onion, and other easy to grow vegetables at home in our small garden. 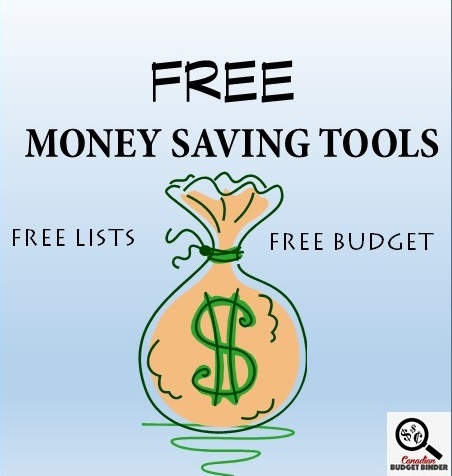 Aside from it helps us save some money, growing veggies has been an activity I and my kids do. It’s good that in this early stage, we teach them some responsibilities and I know this will bring fruitful results out of them. That’s what we plan to do with our son as well. We don’t grow much now but our relatives have a massive garden so he see’s his grandparents gardening all the time in the summer. I have lowered my food budget for November 2016 and hope that I can stick to it. Overview: Spending another week using the food that we have in the house already without going out and purchasing ingredients that we don’t need yet. Yes, I run the risk of having to possibly purchase the ingredients at a higher price than what I could now. I’m willing to take that risk and it also shows how much we have in the house and what we can make from it. So this week, there wasn’t anything for the humans that was actually needed but rather all wanted. The cats needed to have some hard food as they were just about out and I’m not buying as much food for them as I used to. I grow celery from the cut off base and green onions the same way. I grow herbs such as parsley and cilantro and romaine lettuce from the base. My condo windows face north so in winter I use grow lights in nearby lamps or place the growing herbs etc. in pots on side tables etc with lamps. I have trouble overwintering rosemary, I think I over water it and the living room might not be as warm as the plant needs. I grow aloe vera also an important plant for treating burns with the gel. Do you have any photos of your celery and green onions? I tried once and they started to grow but not to where I could eat anything substantial. Maybe I was doing something wrong. I love this article for that reason as I’d love to learn more about it. This was in the summer I tried this. I never thought to use lamps. Hmm. I can take some photos. With celery you start with the root end soaked in about an inch of water for several days then planted in soil. The celery will start growing from the center with first leafy greens and later stocks. I cut the leafy greens and use them in salad and soups, The green onions are started from about 1 1/2 ” from the root end soaked in water several days then planted. They grow into regular green onions. I just cut the green tops off a few inches from the soil to use for cooking and salad. The green part keeps growing back. The Romaine lettuce is started the same as the celery. That would be lovely Penny, thanks. That’s what I did with the celery. Ah, so you only get leafy greens. That’s what I did get, yes. I did that too with the green onions. It may have been where i was keeping them or I over-watered them. I’ll try again. I’d love to see your photos. The celery will eventually grow stalks but it takes time. In the meantime I continue to cut and use the leafy green.. Will try to email photos tomorrow. The most common causes for seeds failing to germinate are planting them too deeply, planting in cold soil( unlike air, warms up very slowly), extremes of watering, improper soil preparation. It’s so hard to begin but it is fun to keep track of your seeds’ growth. I can not describe the feeling when I come back home and see some seeds sprout right before my eyes. This month I beefed up the US Reserve again because we will be shopping in the USA both this month and next. Thank goodness I have an incredibly well stocked pantry and in fact we could probably eat week for at least 6 months without my ever going near a store! I would miss all my fresh, crunchy fruits and veggies though. Next week I’ll also report the cost of our trip since any vacation budget spending is inversely proportional to the amount of grocery spending we do. We’ll see how much is left in the vacation budget to cover our December trips…fortunately there’s no hotels, breakfasts or dinners to pay for in December – just our lunches. I added $300 worth of savings to the budget ($150 in Nov & $150 in Dec)… so this year we’ve got $1,300 allocated to our travels/staycations/dining out. BUT, I also re-booked the anniversary hotel to a different location to save us $40 US and that will cover the cost of one dinner while we are away. Every little bit helps! I sure hope I can keep us on track with the vacation budget…I am giving it the old college try!! Total $695.79 Spent So Far >> $604.21 left for the next 3 trips! * And I have to take a moment to say that service contracts are so worth it for our house. I hate unexpected expenses! Last night we started having some sort of a heating/cooling malfunction. Our system is only 10 years old but service hiccups do happen. The last time we called for a service repair was Jan 2013. This time, the heat pump isn’t kicking in and we are heating with the furnace. 🙁 Hubby’s calling this morning to get a service technician to come out and do the necessary repairs. The service contract means we get very prompt service and the repairs are covered. 2 Tri-Colored Bag of Bell Peppers $2.98 ea << Love this deal! 12 Cloverleaf Skipjack Tuna $0.88 ea < we go thru a lot of tuna! 2 Celery $1.47 ea < Lovely big bunches too! $ 166.96 Holiday Season Fund + $130 PC Plus Avail. OUR CURRENT TOTAL UNUSED RESERVES ARE $1,195.25. This means the $936.51 that we carried forward from 2015 PLUS AN ADDITIONAL $1,021.96 that we have added in 2016, LESS $763.22 that we have drawn out for use in 2016. Mr CBB…those bags or tri-color peppers (red, yellow, orange) were about 8 peppers in the bag so that’s a smoking good deal @ $2.98 per bag as they run about $2.98/lb at this time of year…hence I bought 2 bags!